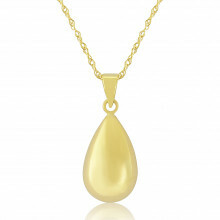 This fashionable 9ct pendant crafted in sleek yellow gold is a must have for every jewellery box. 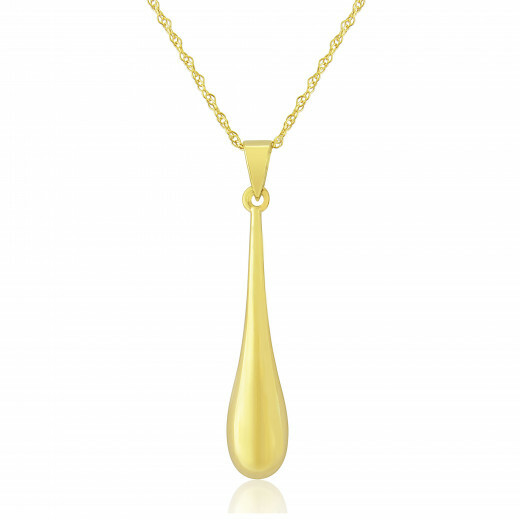 With its feminine, long tapered form and curves this piece of jewellery is beautiful. The chain provided is known as “Prince of wales”, made up of a series of delicate links and has an additional feature to adjust the length from 16 inch to 18 inch and a bolt ring fastening. 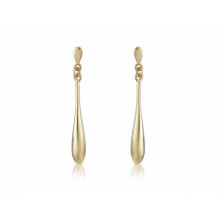 Why not team up with matching earrings 7K67?